WEDDING MANDAPS Indian weddings are the most stylish and heart throbbing events, not around Asia but all over the world. It’s not that easy to plan such a memorable event for bride and groom. It takes weeks and even months to plan such a lavish event not to impress everyone but to make the event most memorable. Besides, other planning the most important is planning the venue, deciding for the decoration of mandaps and planning for. 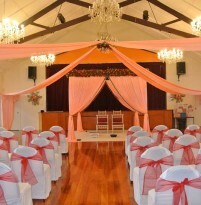 At Royal Events we are experts in providing stunning solutions to your decorative needs. We design a large variety of cost effective and stylish fabric mandaps for Indian, Asian and western styles weddings and other events. Being experts in Indian Wedding Mandaps, our team has to offer large selection of luxurious mandaps will leave you in complete amazement with a life time. At Royal Events we are experts in providing stunning solutions to your decorative needs. We design a large variety of fresh flower mandaps for Indian and Asian style weddings traditional, modern with Stylish, unique designs and a professional service for you wedding. 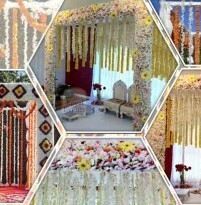 Being expert in Indian & Asian Wedding Mandaps our large selection fresh flower mandap styles will leave with a life time memoires of great amazements. Take a.